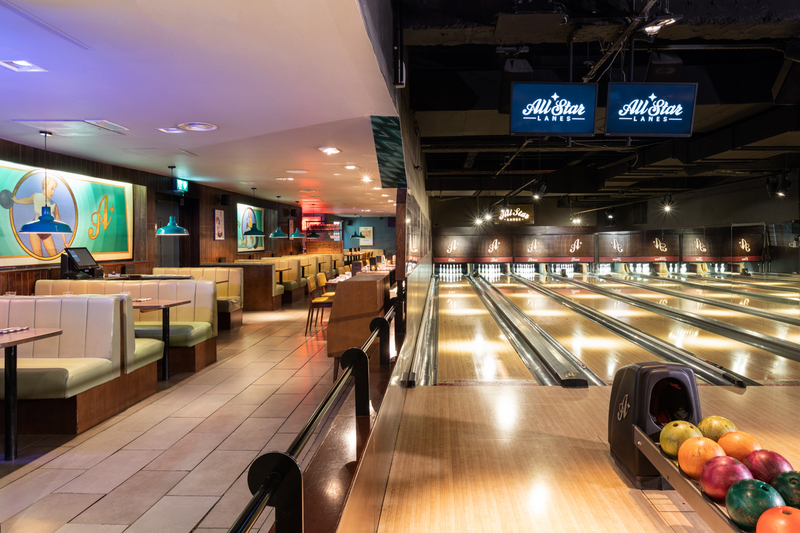 On a cold winter's day when staying outside is unbearable I have a solution for you, grab your friends, family or partners and try something a little different, check out the All Star Lanes! Once inside experience the ultimate adult playground with bowling lanes, karaoke booths, American diner and trendy bars! 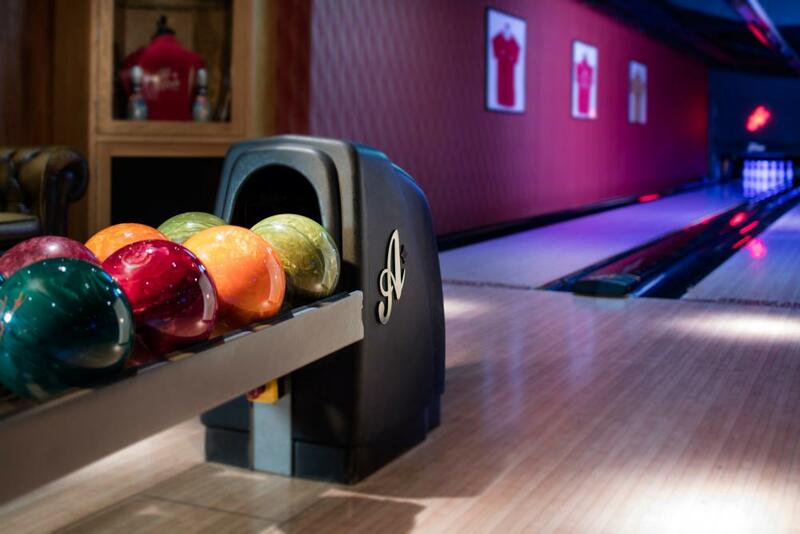 Whether you're a serious bowler or looking for a fun night out, there's a bowling alley in London for you; with locations in Brick Lane, Holborn, Stratford and White City. From 12pm every day until midnight you can hire one of the bowling lanes and have a chance to win a strike. Most of the venues have a '50s American style, except for the Miami- art-deco White City lane which has gone for a more chic and contemporary vibe. All Star Lanes also do bites to eat, so if you're likely to get hungry between swings, there is a variety of delicious food to try. 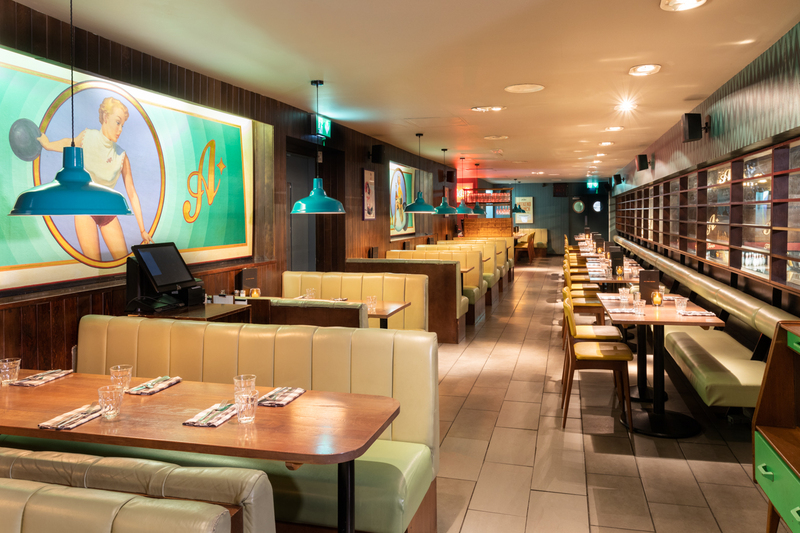 London's bowling alleys come replete with live music, retro ambience and boozy bars. So go ahead, pick up your bowling shoes and pick a lane. A game of ten-pin bowling is divided into ten rounds (called "frames"). In a frame, each player is given two opportunities to knock down the pins. The player rolls the ball at the pins with aim to knock all ten pins down to win a "strike". 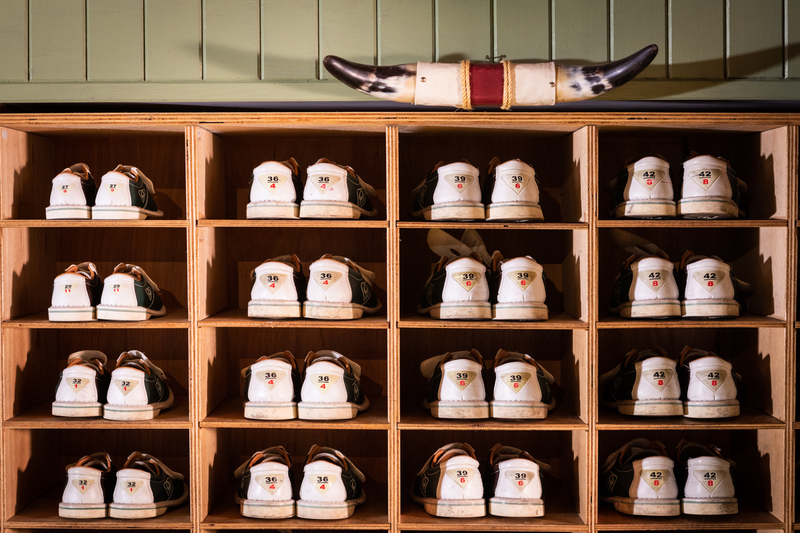 I took my friends out to the All Star Lanes in Holborn which boasts about having authentic timber bowling lanes and pins potters which have been flown over from the USA to provide an original experience. All Star Lanes Holborn used to be used for bowling competitions due to their good equipment and timber pins. Of course to maintain the flow of the game there is a team of expert technicians on hand to help at all times. In All Star Lanes Holborn there are 4 lanes in the main hall. One lane can hold a maximum of 7 people. Book your games in advance to prevent being disappointed during peak times. 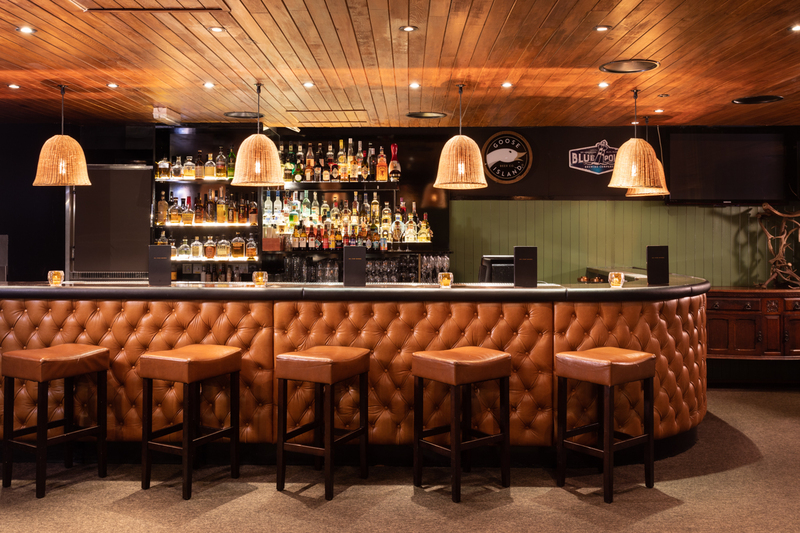 The bar is open to those non-bowlers wanting a drink; choose from the seasonal specials as well as fine wine, craft beer and those good old American staples; shakes & softs. My team and I started off with the Classic Margarita (El Jimador tequila, Triple Sec liqueur, sugar syrup & lime juice) and having worked up an appetite on the lanes, we took a booth at the classic American diner. 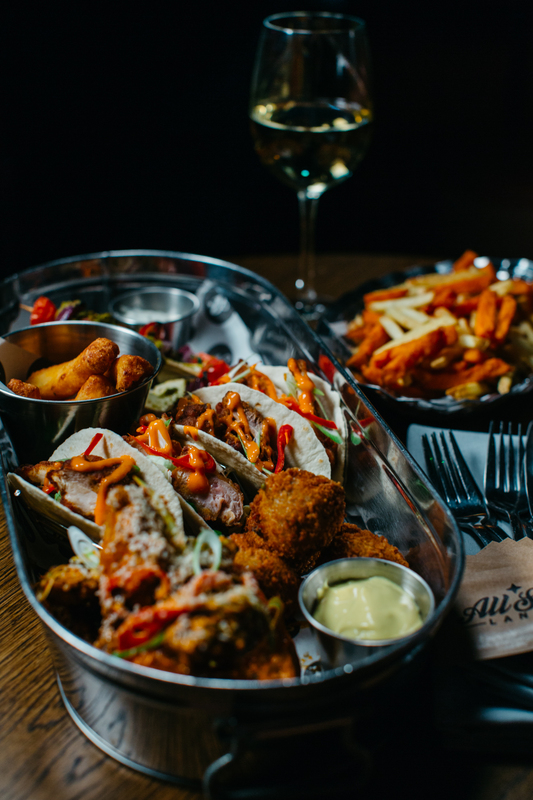 We dug into their starters sharing between us the loaded nachos with corn tortilla chips, Pico de Gallo salsa, guacamole, jalapeños, buffalo sauce and sour cream and the delicious beef brisket Bon Bons with mustard mayo. 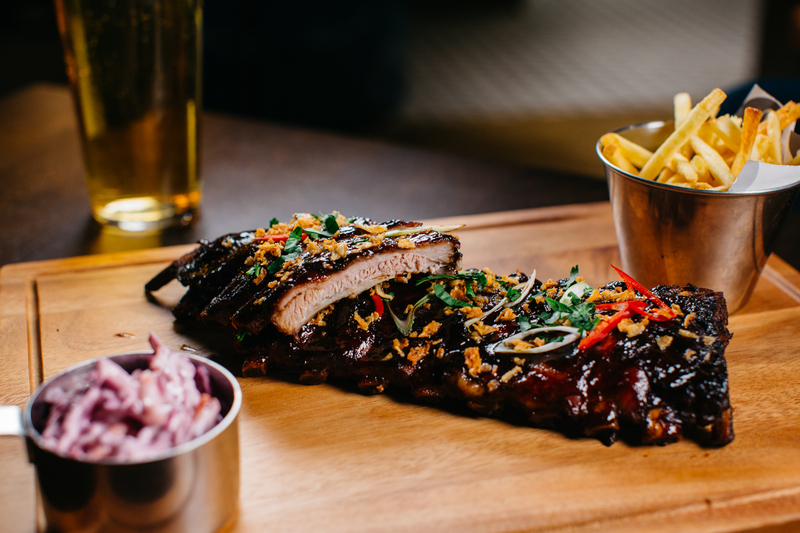 For mains we ordered the Buttermilk fried chicken burger with house slaw and chipotle mayo, the 28 day matured Dedham Vale 8oz Sirloin steak and the honey glazed pork ribs with skinny fries and house slaw. To complete our American diner feast we shared the baked vanilla cheesecake with berry compote and the chocolate fudge brownie with chocolate sauce and vanilla ice cream. 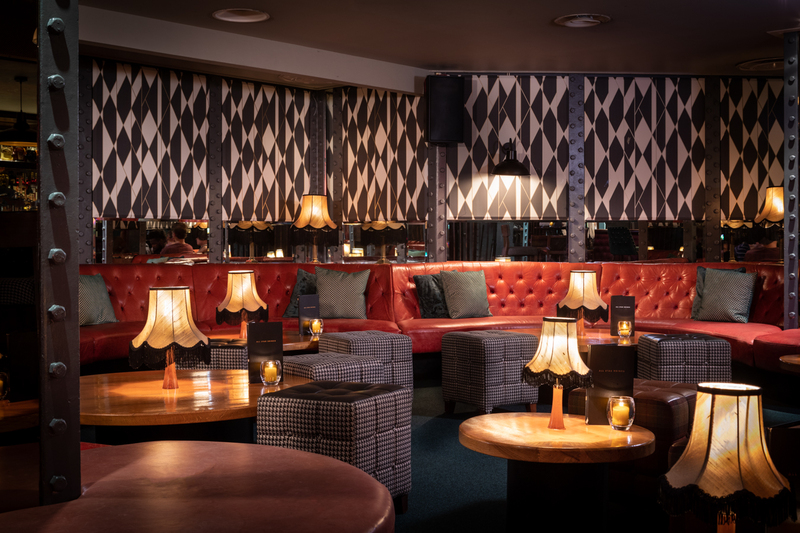 Another great feature if you're looking for 80 people or less private party, is the bookable Lodge at Holborn, complete with 2 private lanes, cocktail bar with a dedicated mixologist, karaoke & Wii. For corporate events to impress and parties looking to change from the usual bar experience, All Star Lanes is not your typical London party bar; a cool combination of cocktails on the lanes, delicious food, DJ's and plenty of All Star treatment. This is an all-in-one night out with food, drinks, music and a game of bowling. Check out the Lodge for Birthdays, Celebrations, Bachelors, Bachelorettes and everything in between. 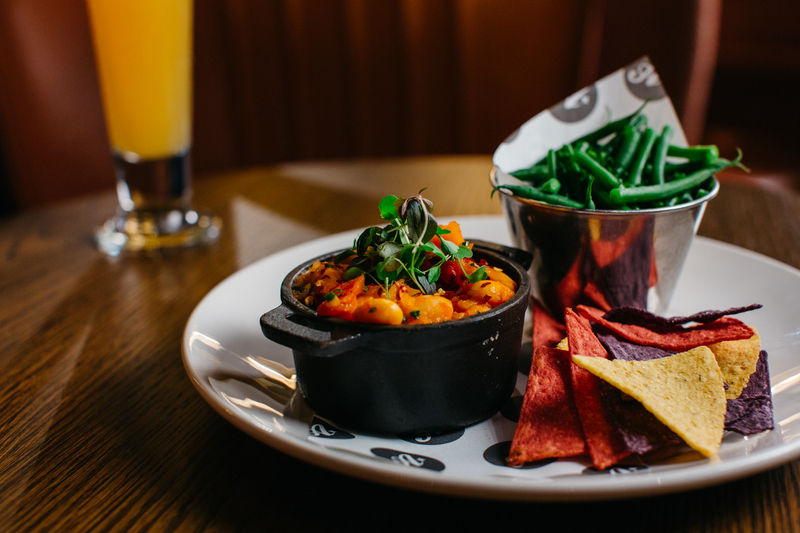 Thanksgiving - Indulge in our DDB Special! Black Friday - We've got extra long Happy Hours and a voucher offer! New Year's Eve - Celebrate NYE with us in London and Manchester! Karaoke - Sing your hearts out in one of our karaoke booths! A special thank you to All Star Lanes and Luxuria Lifestyle for arranging the perfect experience!